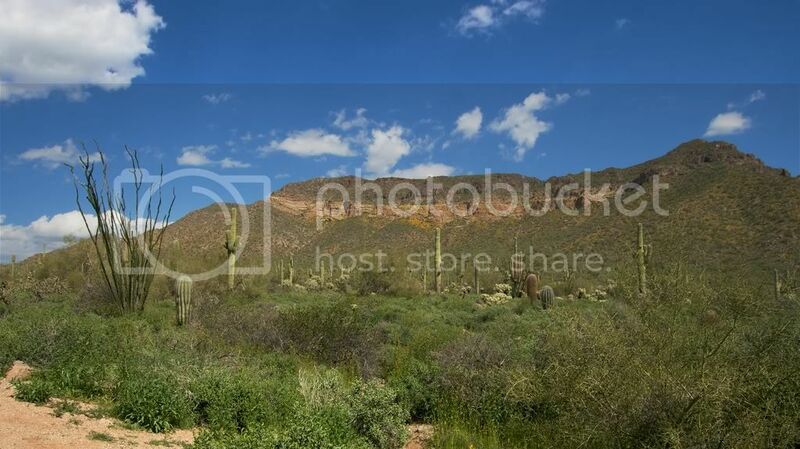 We’ve lived in Arizona for almost four and a half years, and I haven’t gone hiking here. There are sound excuses reasons for that – hiking alone isn’t recommended, so I don’t. We have things here like rattlesnakes and mountain lions that could make the experience pretty exciting, and there’s always the chance of twisting an ankle or being cornered by a pack of javelina. So, why haven’t we gone as a family? (Yeah, I heard you thinking it…) Who knows. We talked about it sometimes? It’s embarrassing, really, that with all the miles and miles of trails around here, that we haven’t used them. I decided to do something about it, though, and asked a friend if she would start hiking with me a couple of days a week. She said yes, immediately (whew), and our first hike is today. If no one hears from me by the end of the day, and if it’s not a lot of trouble, could you call Search and Rescue? Or find us on your own and scare off the javelina. I’ll owe you. UPDATE: We had a great hike – with only a couple of near-death experiences. I do all my best thinking when I walk! Have fun, hope you love it. WHAT THE HELL?!? I had no idea what a javelina was. When I clicked on it, I wasn’t sure if I should laugh or scream! What a bizarre creature! Those javelina’s look like they’d make good bacon and chops to me. what is this hiking thing you are talking about? do you have to do it outside? i thought javelina was the new hot cocktail? why are you afriad of that? Be brave and take pix! 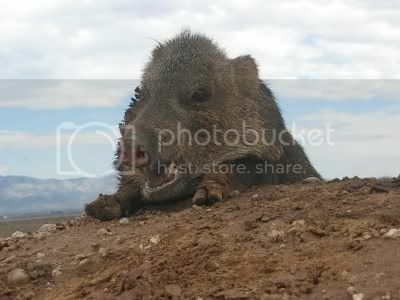 The Hubs and his college roommate used to hunt for javelina – I’ve seen one up close, but thankfully it was very dead. It’s now Thursday afternoon. You better post soon, or I’m calling the cops. While I can’t really sing the praises of the Phoenix / Metro area, I have been to the top of the San Francisco Peaks and I have hiked the Grand Canyon several times, so you really need to start playing catch up here. The dangers along the trail are over-rated, since almost all trails in Arizona have cell phone coverage….just take your cellular if you need to call for help. On a more practical hike, try the Dreamy Draw Preserve and Squaw Peak or Camelback Mountain. There are so many folks hiking those trials you will never really be alone…..and someone will find you if a boulder falls ontop of you. Just take plenty of water….. I hope you enjoy it. Good scheduling of friend time too. When I used to go hiking in Montana, we brought bear spray. What do you do to fight off the rattlesnakes and mountain lions? I told you the story about the javelina chasing us around the outlaw’s house in Sedona, didn’t I? What effing planet do I live on? I’ve never even heard of a Javelina and I watch aminal shows with Csilla almost every day. That would keep me away from a hike any day. Having lived a while in Wyoming, I can appreciate the fact that you are hiking in pretty dangerous turf. It’s lovely, but full of peril. You are NOT a wuss. Oh, I know exactly what you’re talking about. My coming Monday post is my running thoughts as I my son and hiked all alone in our local, mountain lion infested mountains. Still, it is good to make yourself do it. Good for you. 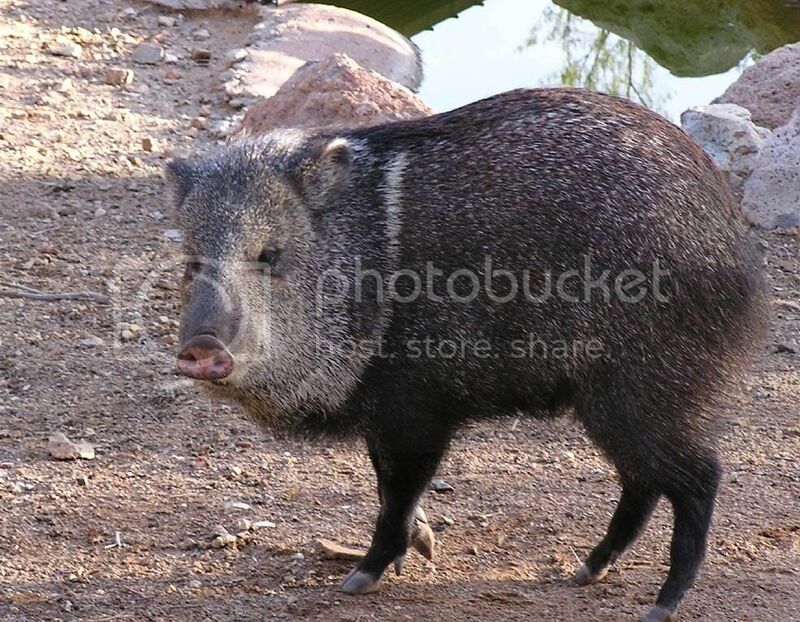 I think the javelina looks much scarier because the angle of the photo makes him seem approximately 48 feet tall. Hi, a grate way of get the family hiking is to play tourist in you own state. Glad you made it back safe and sound. Take heart that the midwest has no javelinas. I’m so proud of you :)!!! I love hiking, we live right by the trails. I do hike alone and I have an ankle I.D. thingy and I sometimes carry my cell as well. I have only seen a rattler once in 4 years, and I saw some javelinas while I was w/ my hubby – they are very scared of humans and will run away….well…generally, I suppose! Have you ever seen a baby javelina? O.M.G. – cutest thing EVER, seriously!